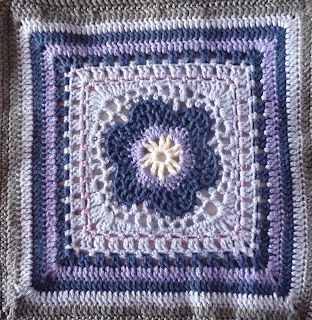 I have a bit of trouble seeing the difference between some of these squares in my photos, because the flower in the middle has been used so many times in this Cal, but luckily for me, I took pictures of each square in the correct order. But even if I say that the squares are different and not just with a few rows, but every square (except a pair by the same designer) is completely different when looked upon on a second glance. 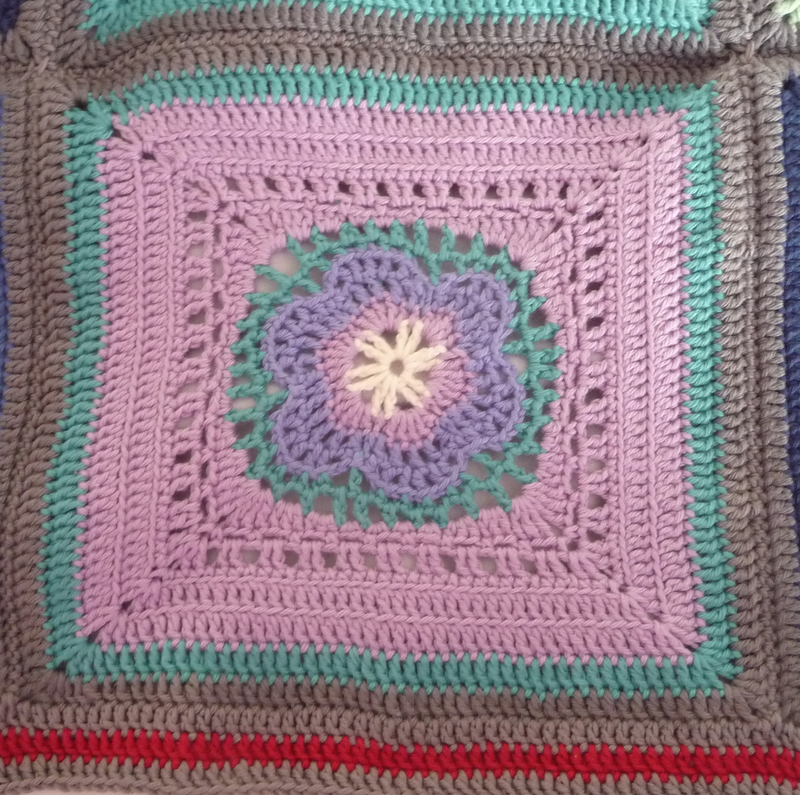 The colour of my petals and in the second row of *Kio's square here has been a bit confusing because I call it purple and *Kio calls it pink and I could not for the life of me remember a pink ball of yarn in our purchase. The dark purple we agreed was purple, but there is another colour that is in *Kio's square that she calls medium blue-purple and I called violet and still seems more blue than purple to me. So that was fun. It is amazing how people see different colours in different ways, different not wrong mind you. Except when Mister M calls his burgundy robe and my fuchsia pink the same colour, which clearly they are not! 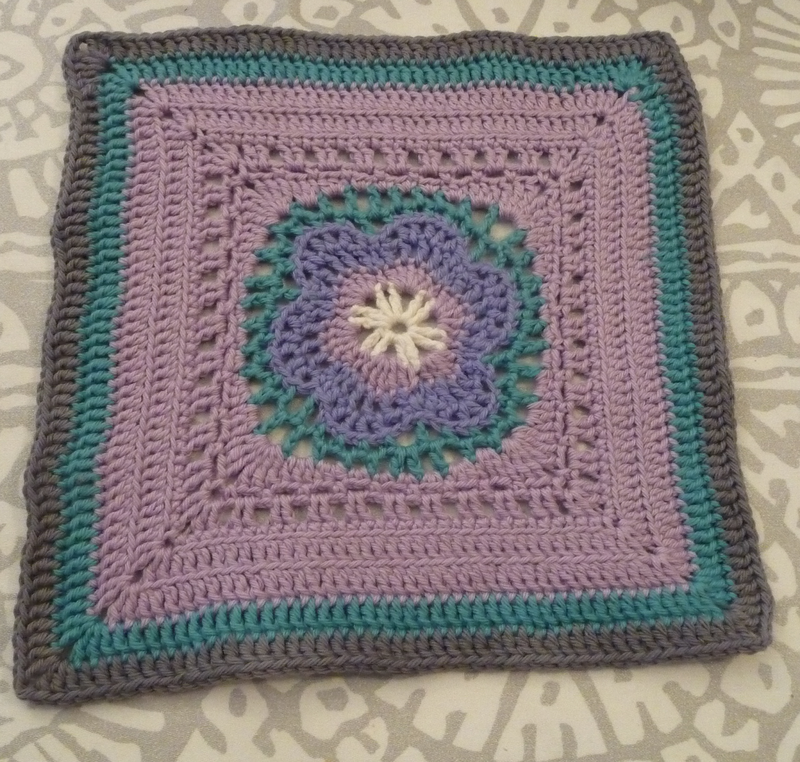 I really like the lacy air of the flower, it was fun to make a flower not so solid and the square part went by with a blast. 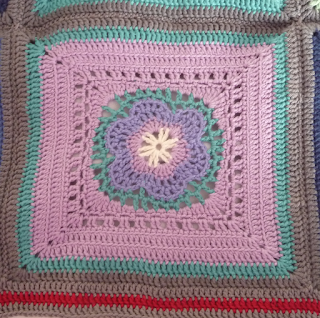 This is another square where I was scared I had used too many colours and tried to stick to a few. 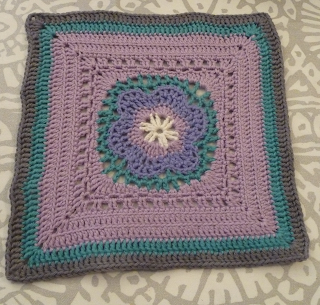 This square was 33 grams and 21x21 cm and took a little under four hours in total, with a few rows ripped with the flower part but I made up for that lost time in the square part with row upon row of easy DC only. *Kio's square, it looks like a flower I really like called Viola Tricolour according to Wikipedia, but I call it night and day. Just needs a bit of yellow. But yellow has been hard to find at Søstrene Grene. 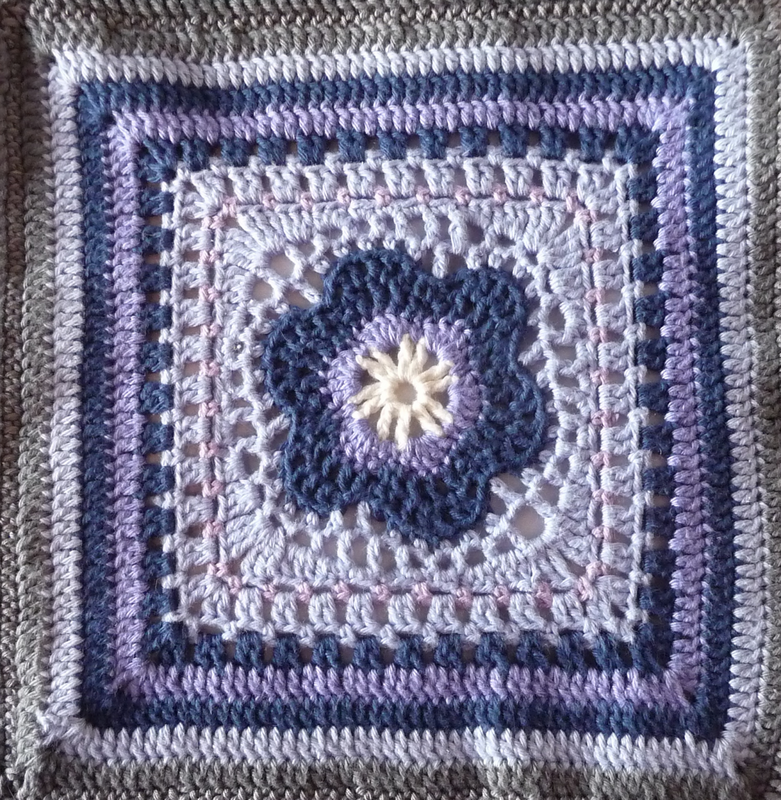 I am not quite sure what my colour scheme is, it does not remind me of anything natural, perhaps forgetmenot's? They come in purple too don't they? Syringa vulgaris perhaps, they come in purple/pink, white and blue?